Indonesia stands a significant cultural distance from Burma and Chinese Buddhists there have little connection to the violence inflicted on Rohingya Muslims that is encouraged by the extremist 969 Movement. 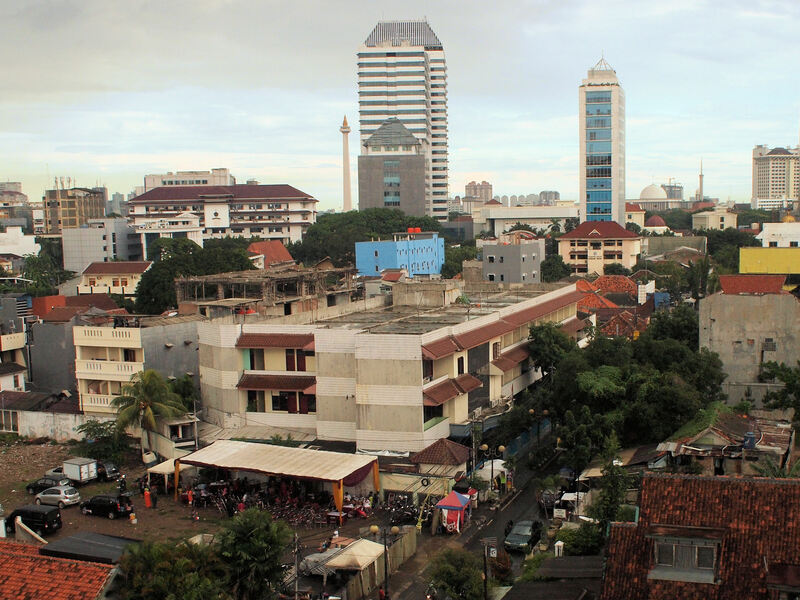 The 5 August bombing of a Jakarta Chinese Buddhist Temple is truly off-target. I saw some video at the NAB a few years back showing the unique construction of Indosiar’s 395 meter structure. It is a hybrid design. 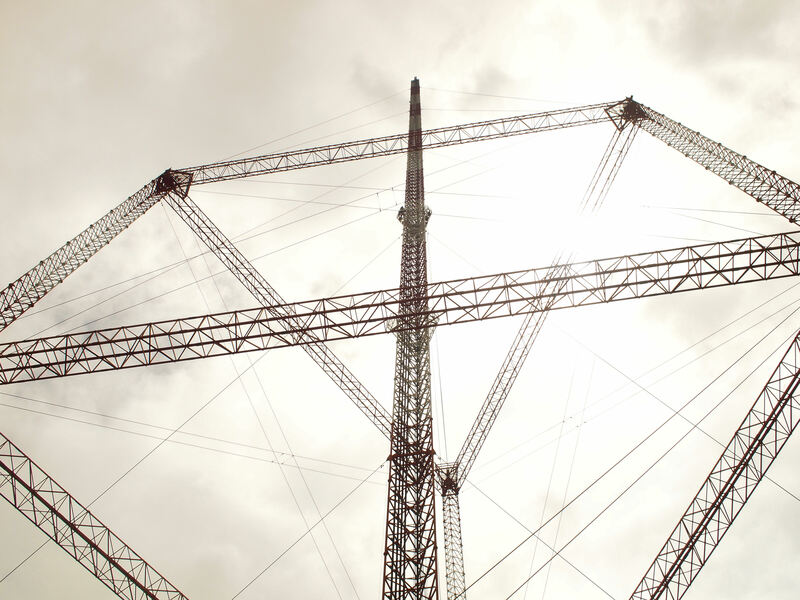 The upper portion of the tower is guyed to a lower self-supporting section. 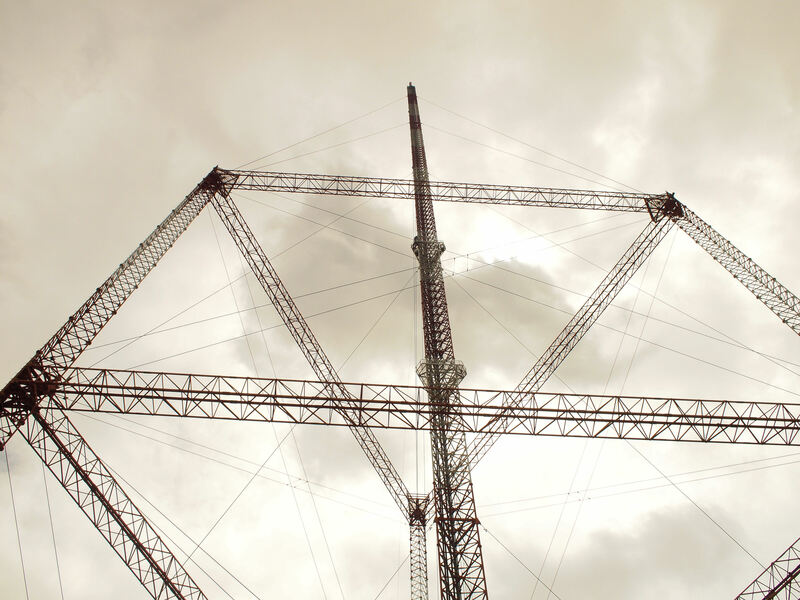 The result is the top of the Jampro antenna residing at 1296 feet above the ground. The design preserves real estate, a precious commodity in Jakarta, and qualifies as the archipelago’s tallest structure. 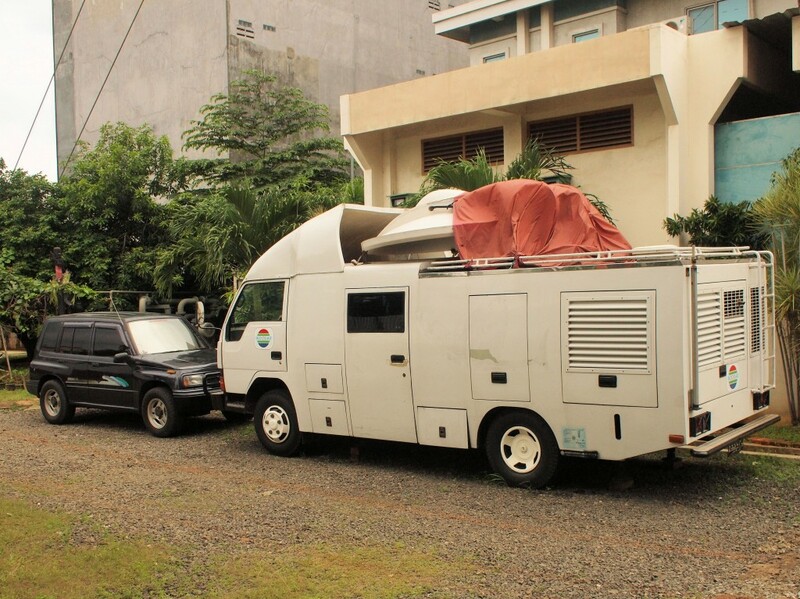 In the trip to visit the Indosiar transmitter site in Kebon Jeruk I managed to connect with four people who I had worked with up to the time I left IVM in 1997. Since my visit I have managed to connect electronically to a few more. Maybe that’s appropriate. 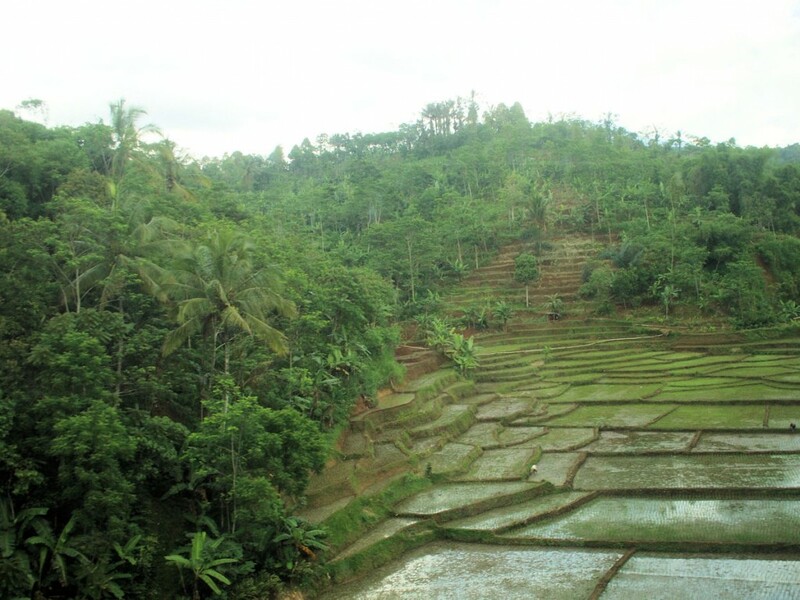 I did decide I don’t want to wait fifteen years before getting back to Indonesia for another visit. 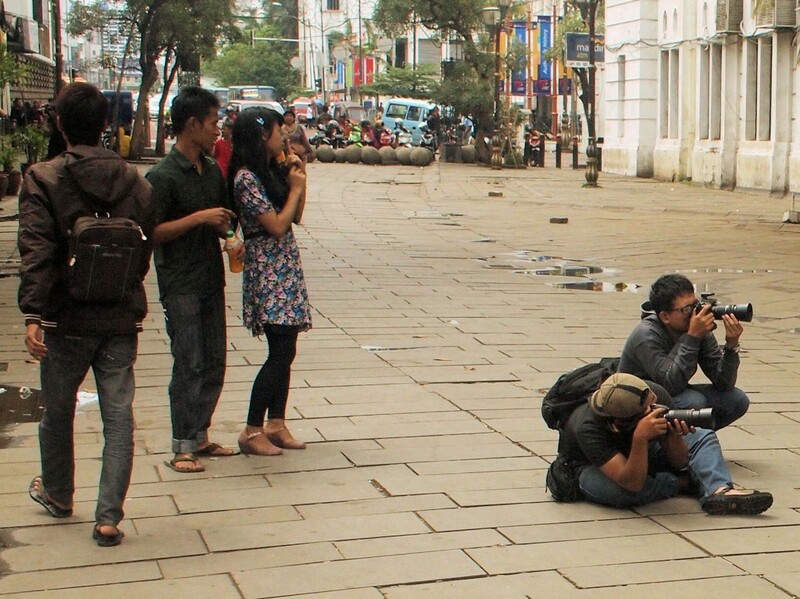 This photo is here not because it describes the transmitter site but rather that it captures Wayang Orang postures. 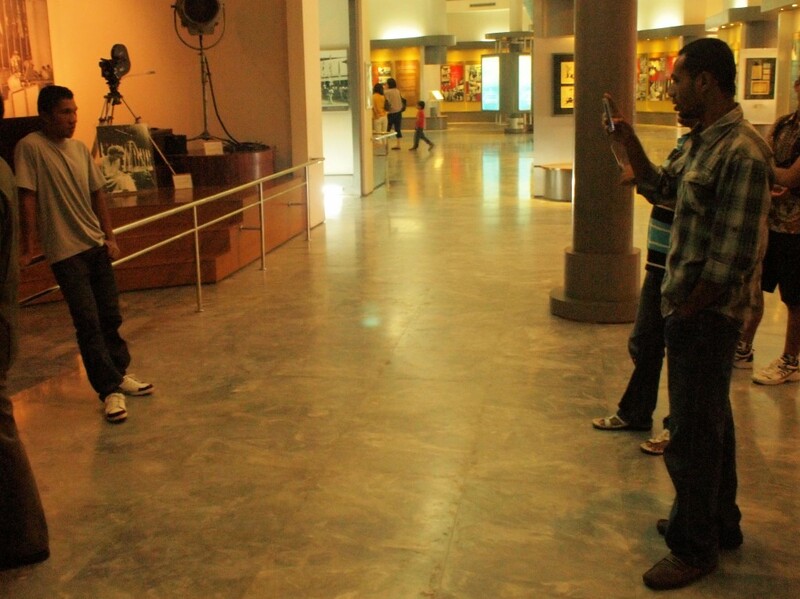 The two visitors from the West have adopted the poses attributed to wayang portrayals of the Dutch. The hands-on-hips stance is an especially evocative expression of arrogance. At least that is the way it is used in performance. Some of the batteries in the UPS banks. When you get to the tens or hundreds of kilowatts it takes a lot of batteries to be able to operate long enough for the generators to take the load. 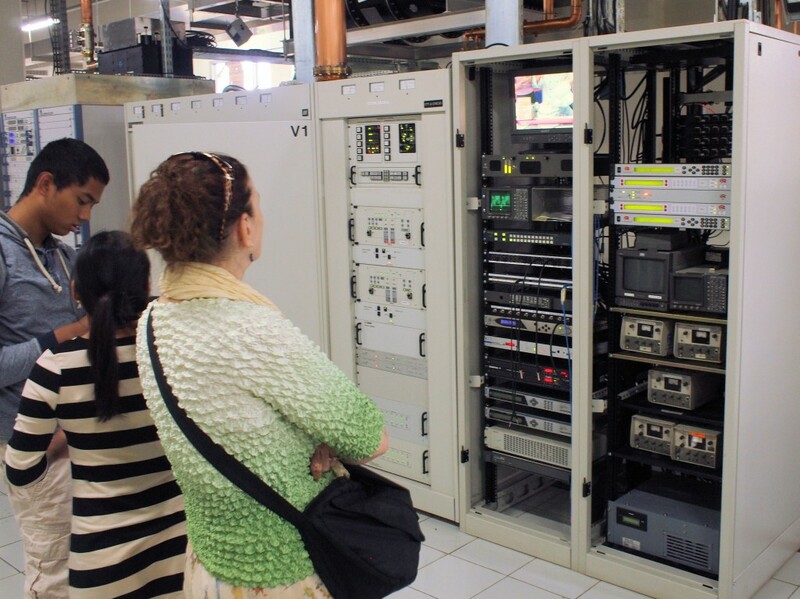 A lot of what’s here are things you can find at most transmitter sites anywhere. The bulk of the terrestrial viewers are still watching PAL analog television. 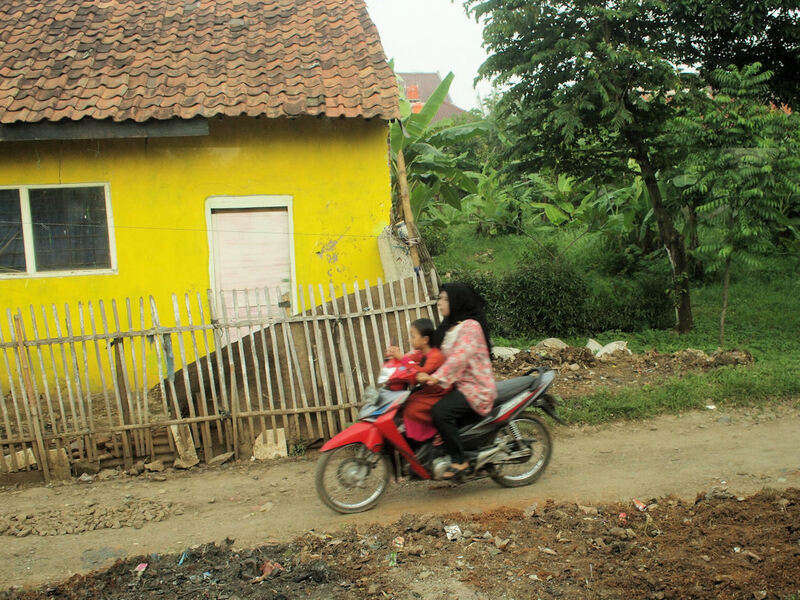 It was Comark at the first Jakarta site at Joglo and the other seven sites in the first round of construction. The company was then Thales and Thomson. 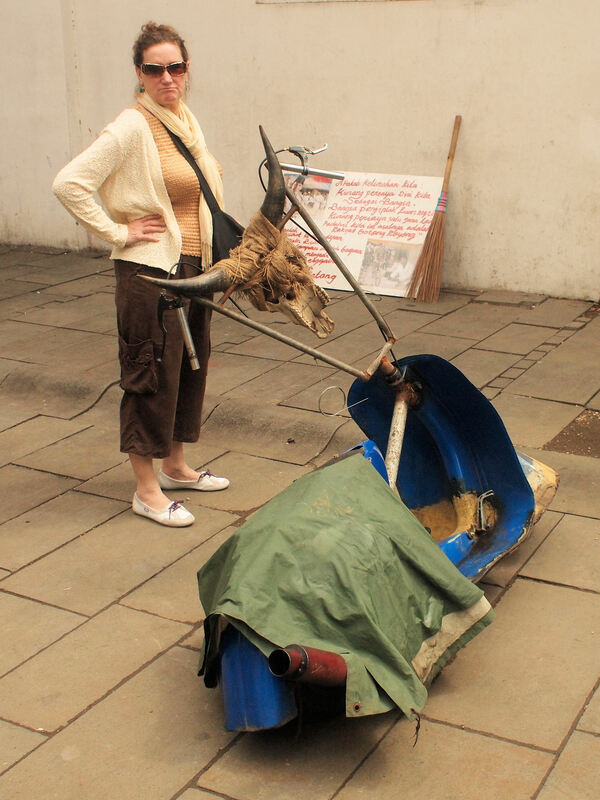 Now we have again returned to Comark. 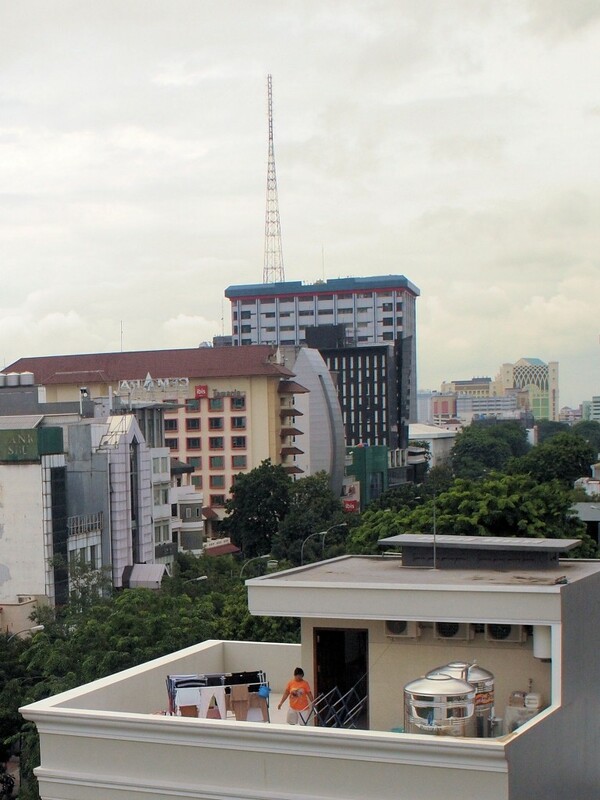 Indosiar had just edged ahead of a Finnish broadcaster for having the largest number of IOT sockets in use when the first eight stations were constructed. I wonder who has that distinction these days. 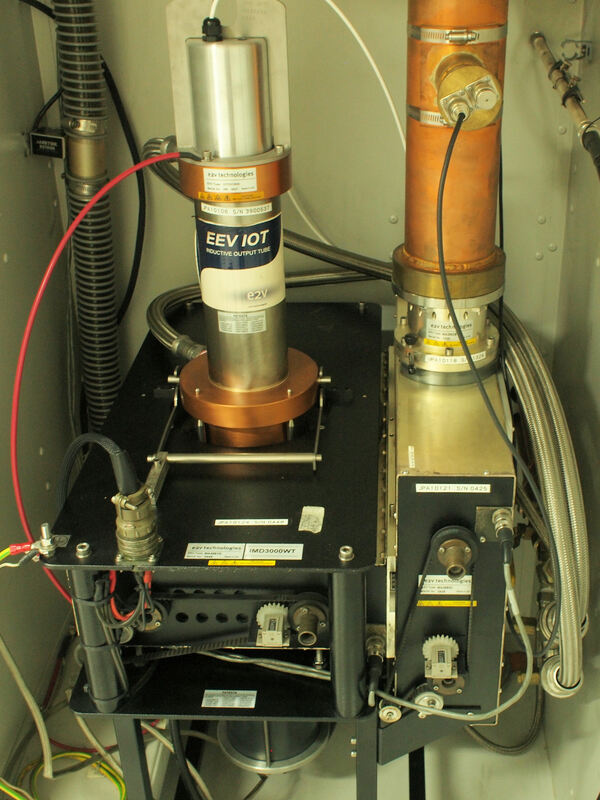 This EEV cavity brings back some memories. 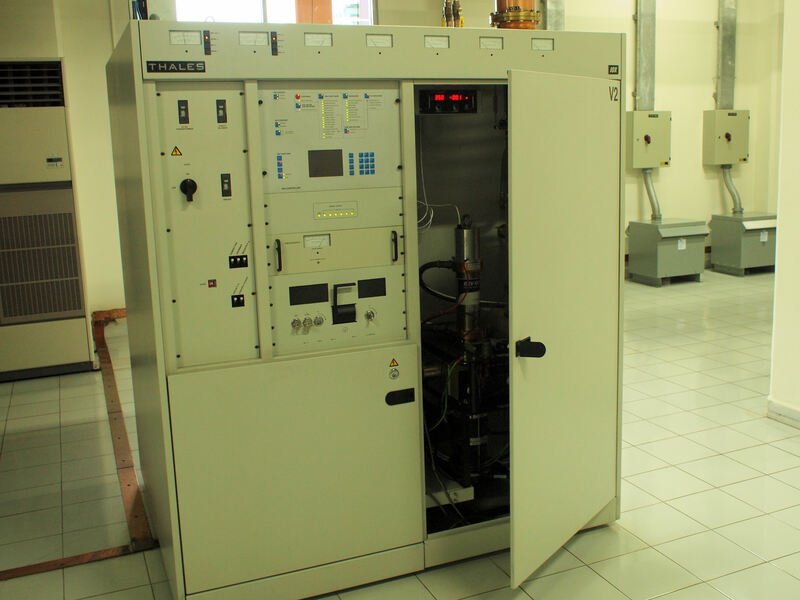 Three generators provide redundant backup to PLN. One of the ENG vans gets parked at the transmitter since the Daan Mogot studios are subject to flooding. 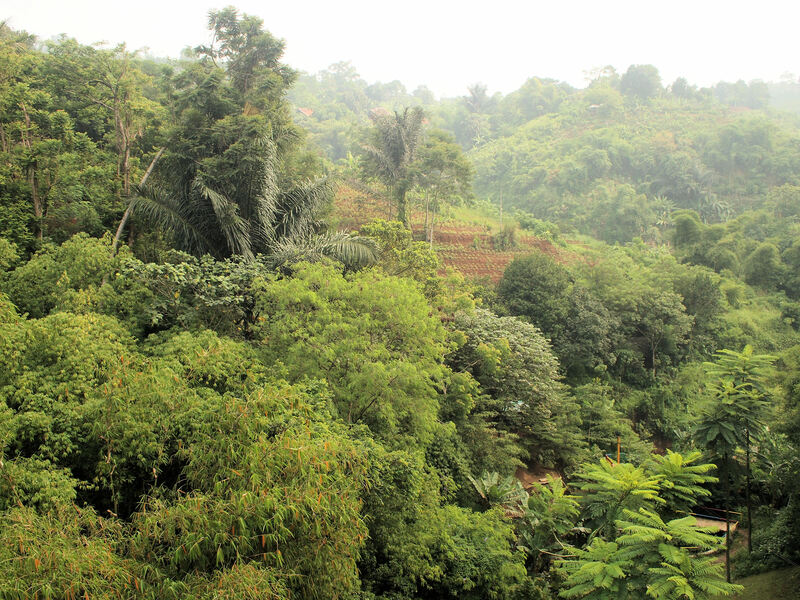 A little more than a week after our visit Jakarta experienced some serious flooding that probably did not spare Kebon Jeruk. 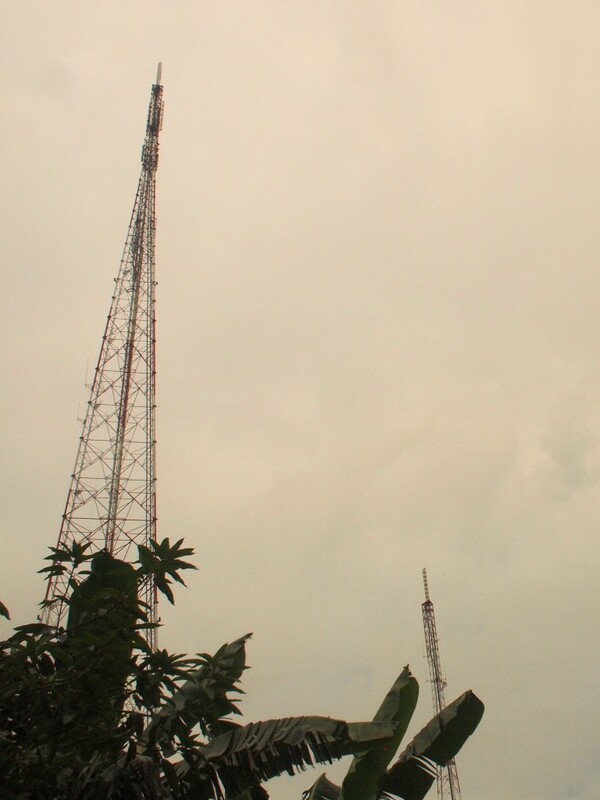 Across the block are the old and the new RCTI towers. 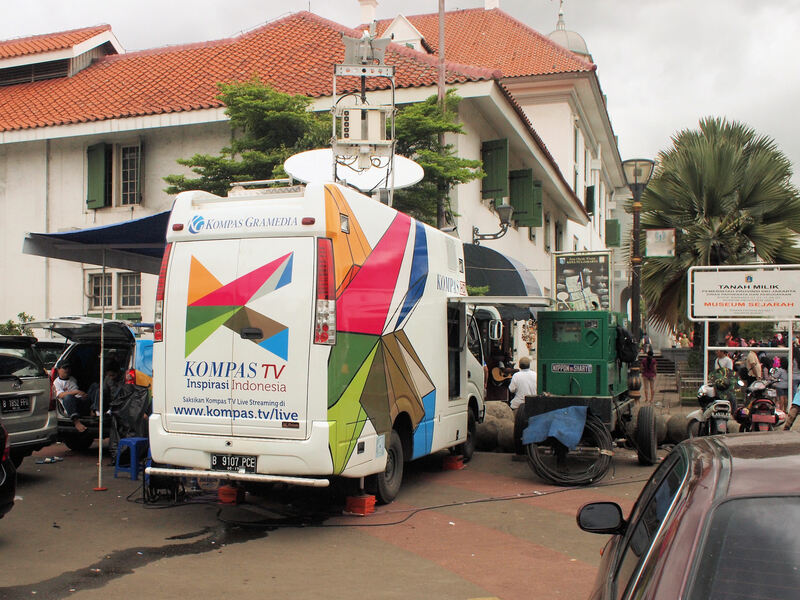 Transmit antennas for RCTI and IVM are now close enough to solve the previous problem of viewers not being able to optimize their antenna pointing for both stations. 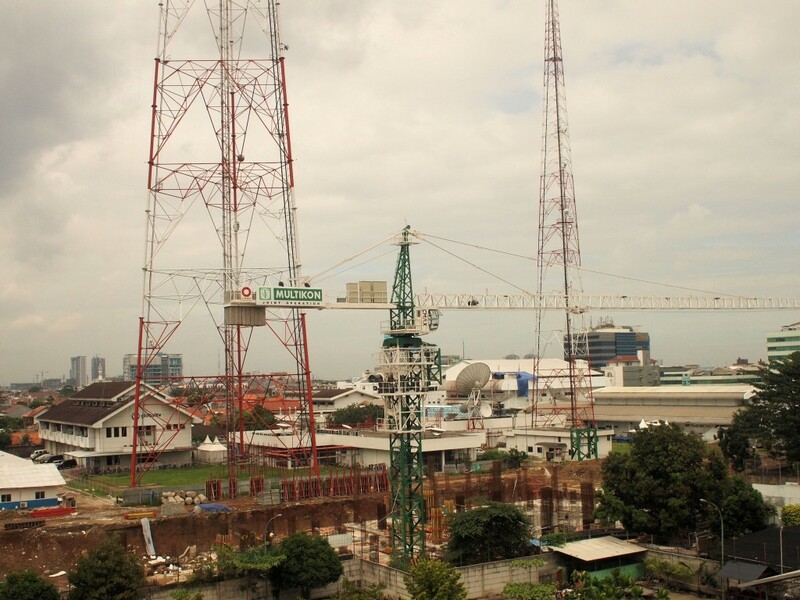 Across the block are the RCTI towers and evidence of even more construction. 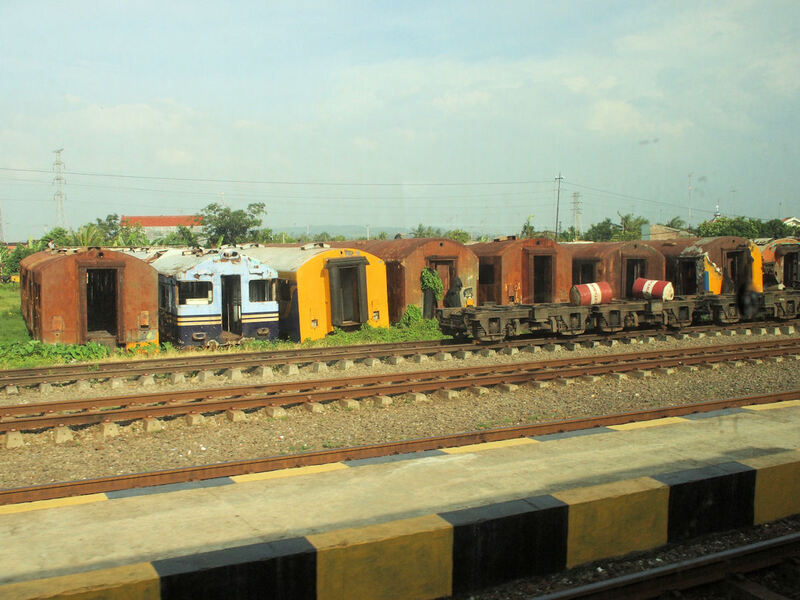 The tall cranes that were part of the Jakarta skyline in 1997 apparently never left. And now the unique tower. 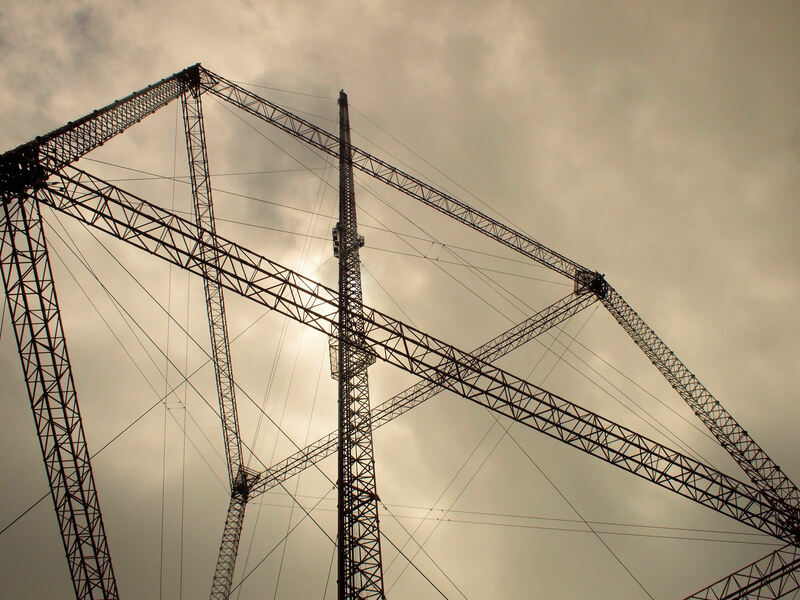 Rohn was the designer and fabricator of this tower. 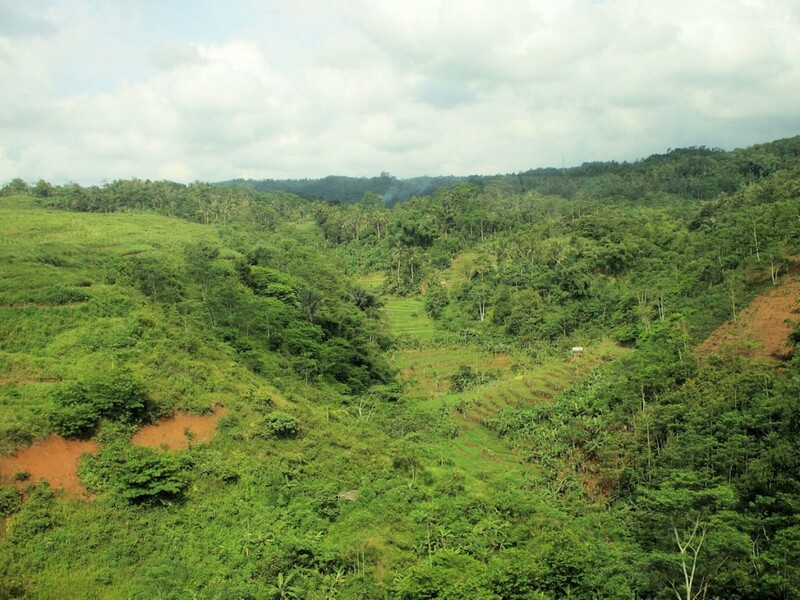 Catur Mitra Adhikara was the supplier of both the tower and the Jampro multi-station antenna that extends 20 meters above the 375 meter tower. 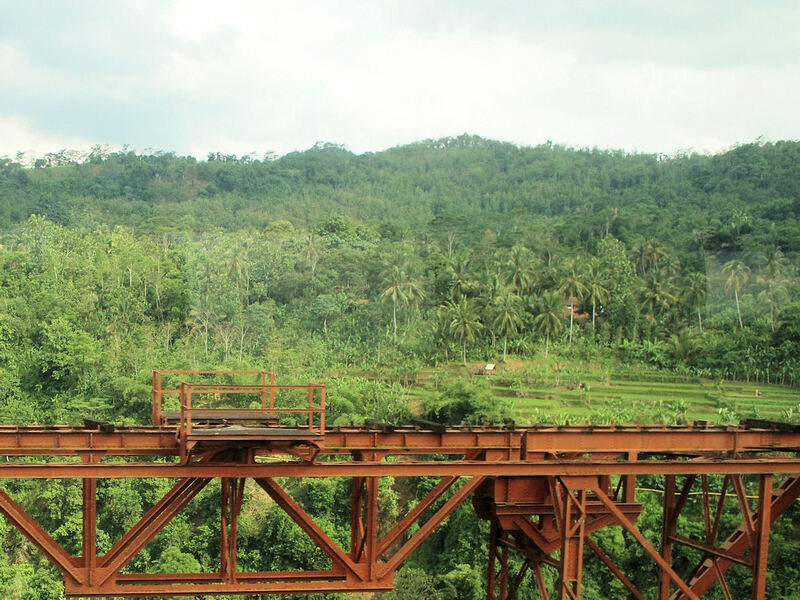 The lower self-supporting section rises to a height of 120 meters. Tour over, we went for lunch at Paregu. 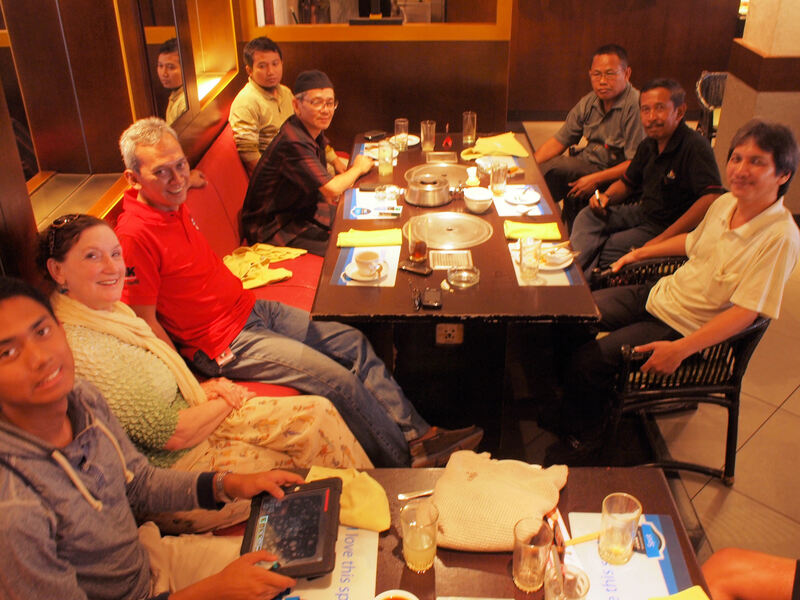 This shabu-shabu restaurant was a great choice and there were ingredients so I could make es cendol for dessert. A nice ending to a fascinating tour. 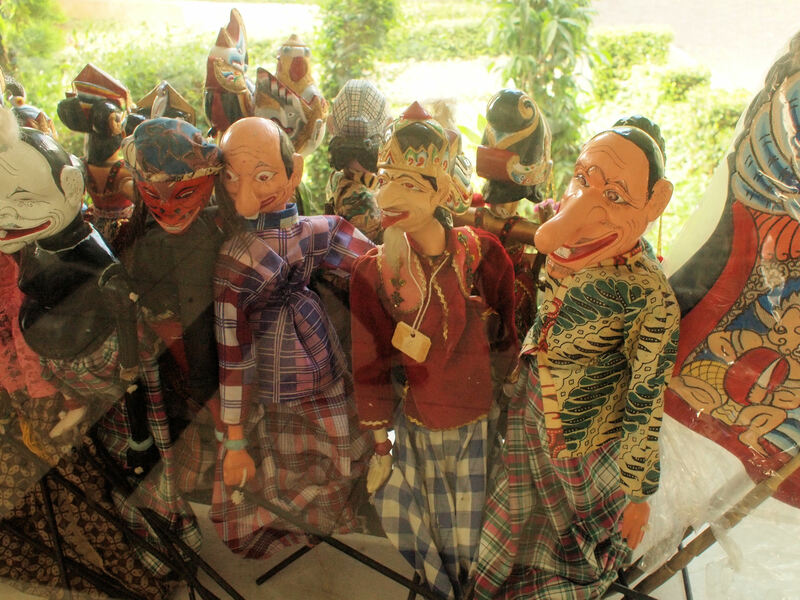 Wayang is a Javanese word for theatre. 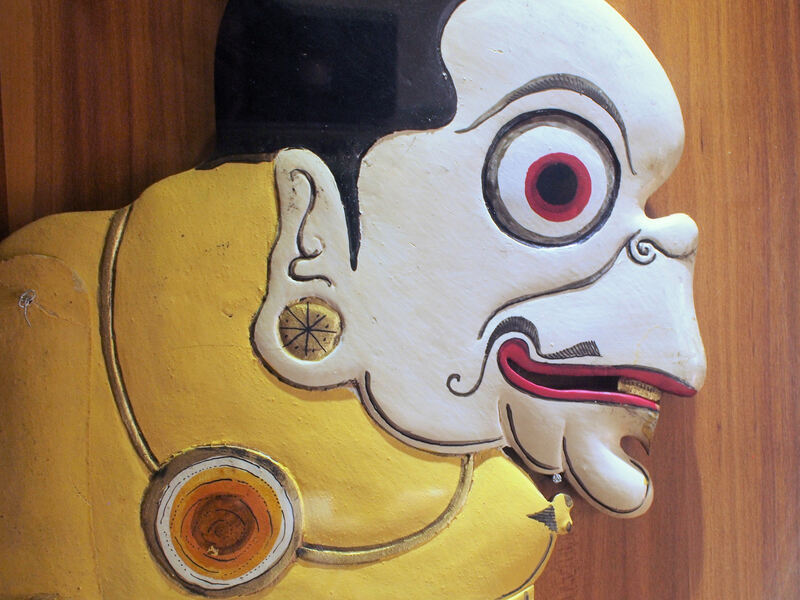 Wayang kulit (skin) is the most uniquely Indonesian form. 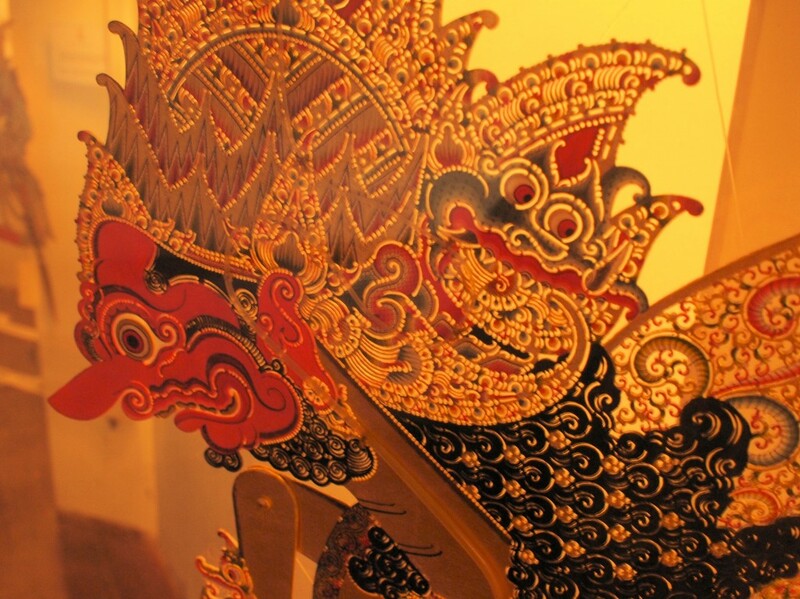 These are the shadow puppets whose performances can be an overnight event and which is accompanied by music from a gamelan. The classic performances are derived from the Ramayana and the Mahabharata. 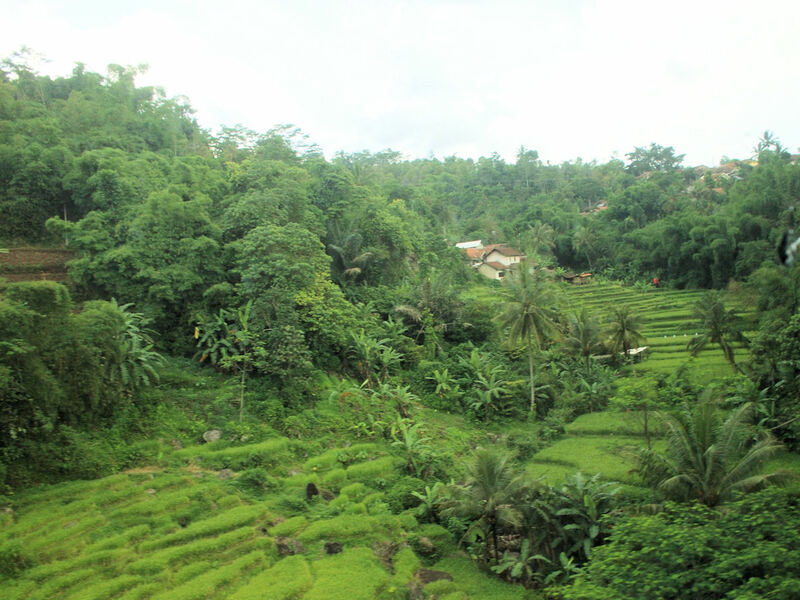 Other characters and stories have been added to the repertoire since the introduction of Islam to Indonesia where it spread rapidly after the thirteenth century. 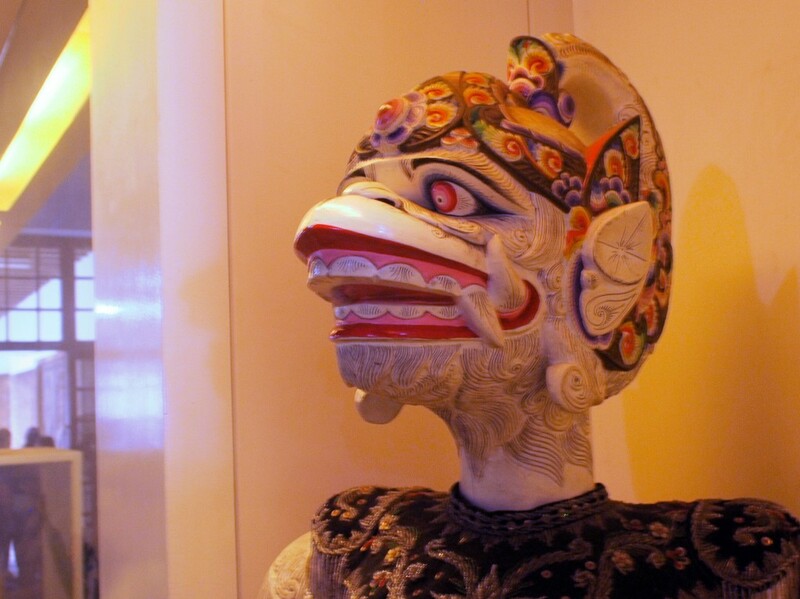 The Wayang Museum also features wayang golek puppets which are wooden puppets operated by sticks from below. 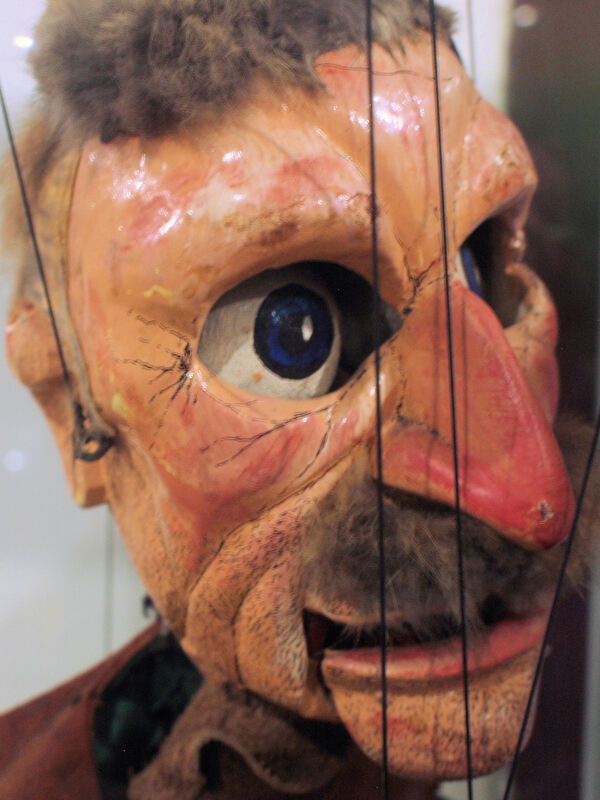 They even display puppets from other countries like the water puppets from Vietnam. 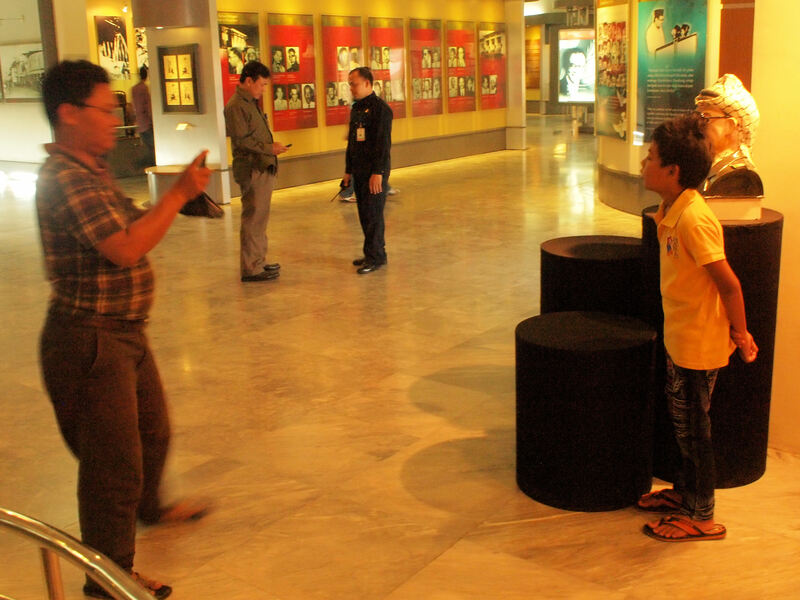 The person who guided us through the museum was very knowledgeable and added a lot to what we learned here. Semar is a popular character in wayang performances. 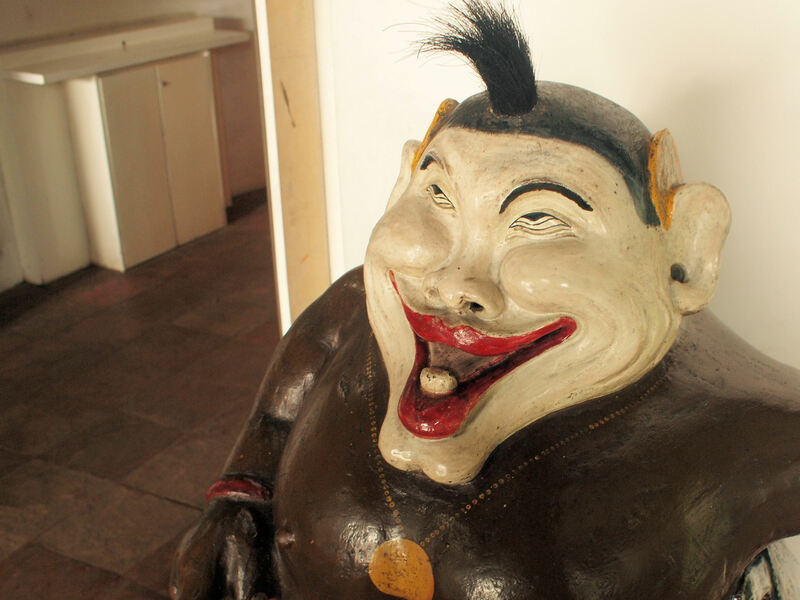 He is derived from Javanese mythology. 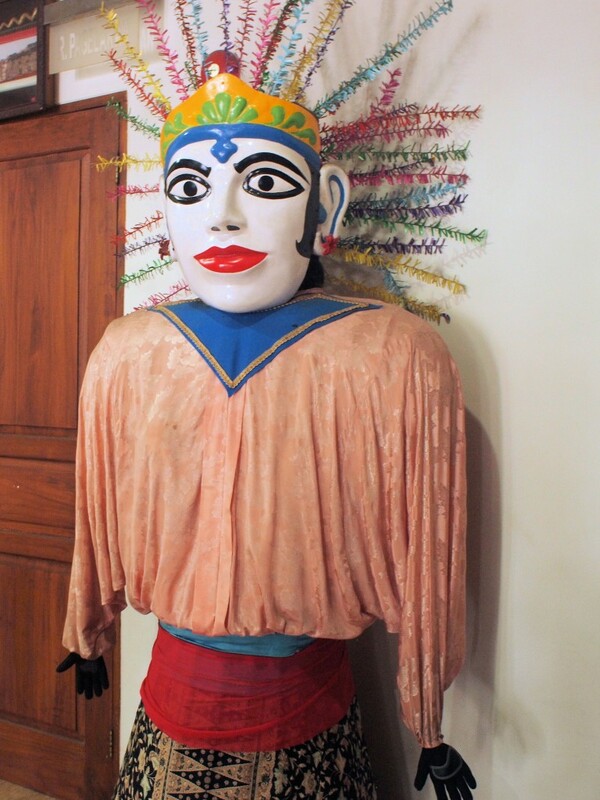 The kulit (skin) of wayang kulit is traditionally buffalo hide. 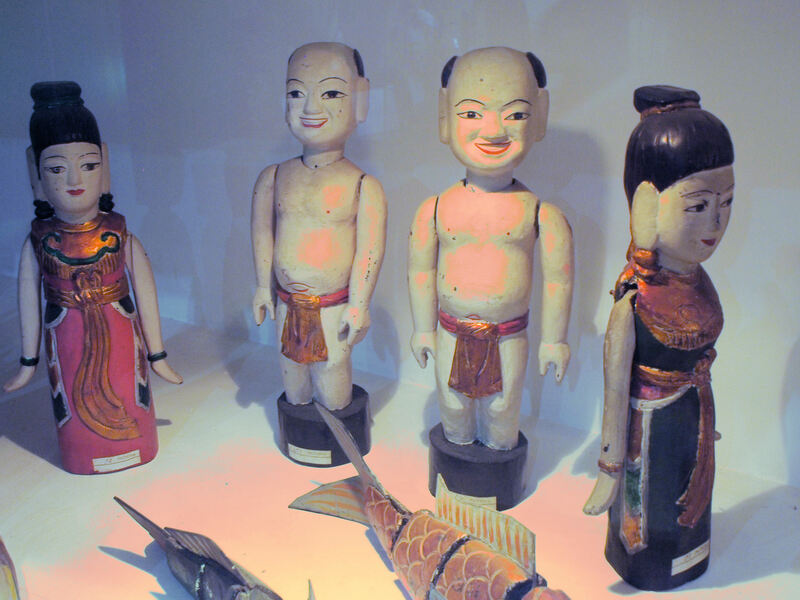 These are Vietnamese water puppets. 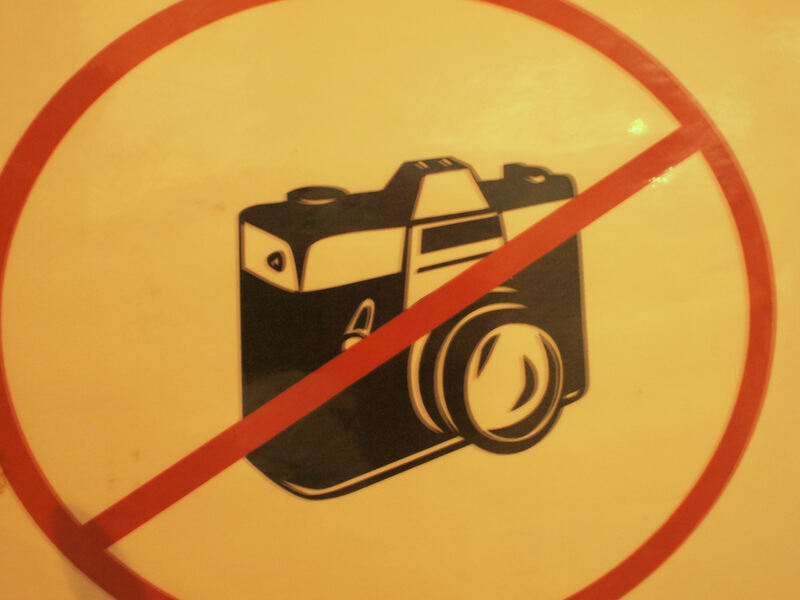 I guess I wasn’t supposed to be photographing here. At least the sign did not threaten lethal force as do some of the signs on Kandahar Airfield. Nobody seemed to be bothered by my excess taking of photographs. 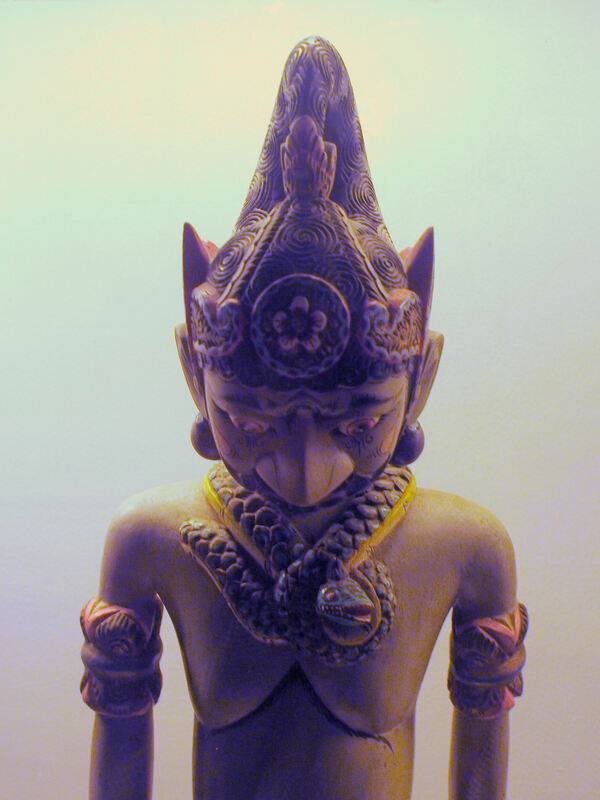 Male ondel-ondel. 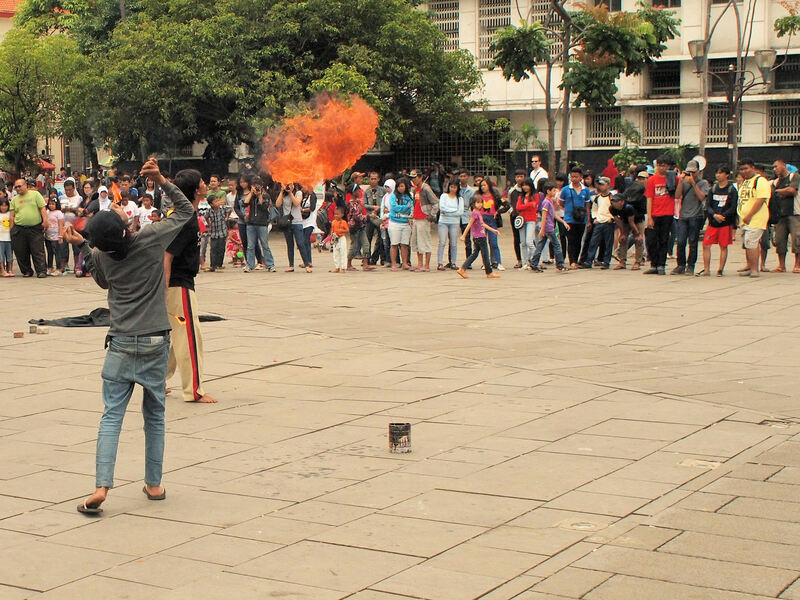 These figures house a performer and the performances are still quite common. 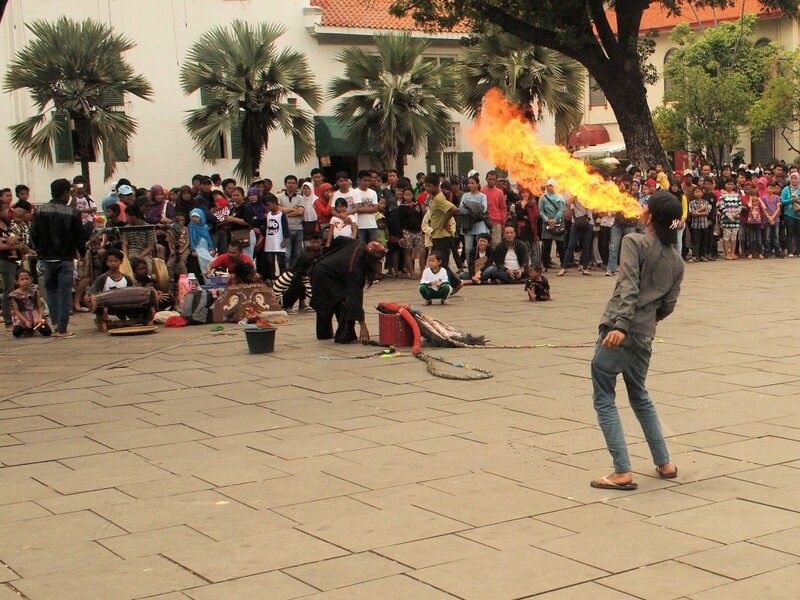 You might even pass a character like this on the streets of Jakarta. Female ondel-ondel. 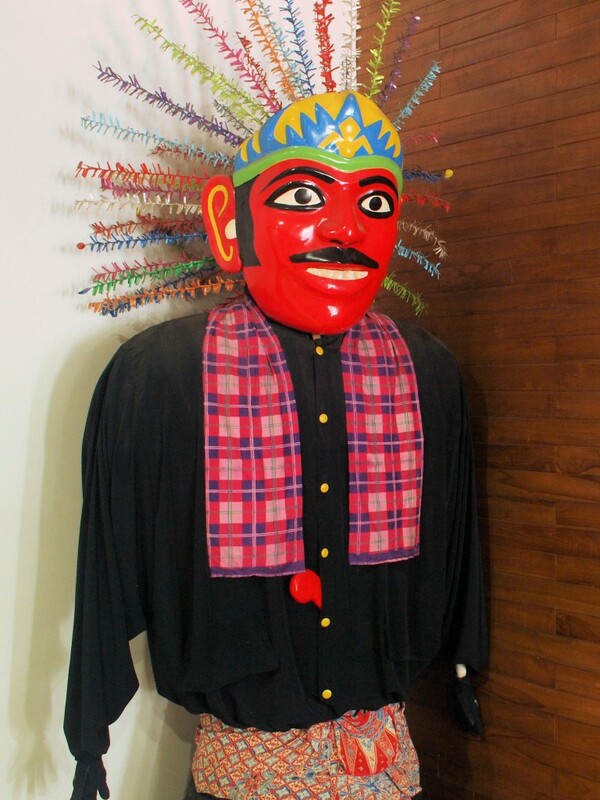 These puppets originated with the Betawi, the original inhabitants of Batavia. 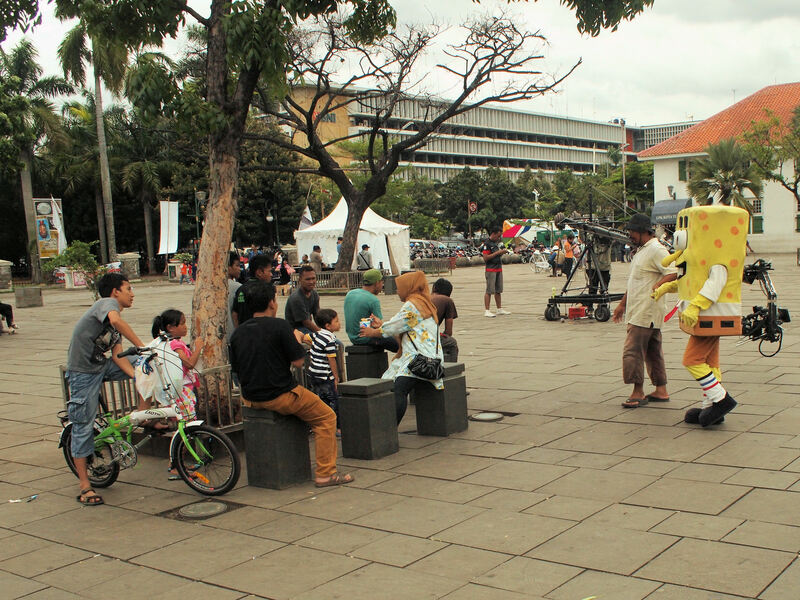 A trip to the Wayang Museum brought us to the old section of Jakarta where we got to see a magic act and to glimpse SpongeBob SquarePants. 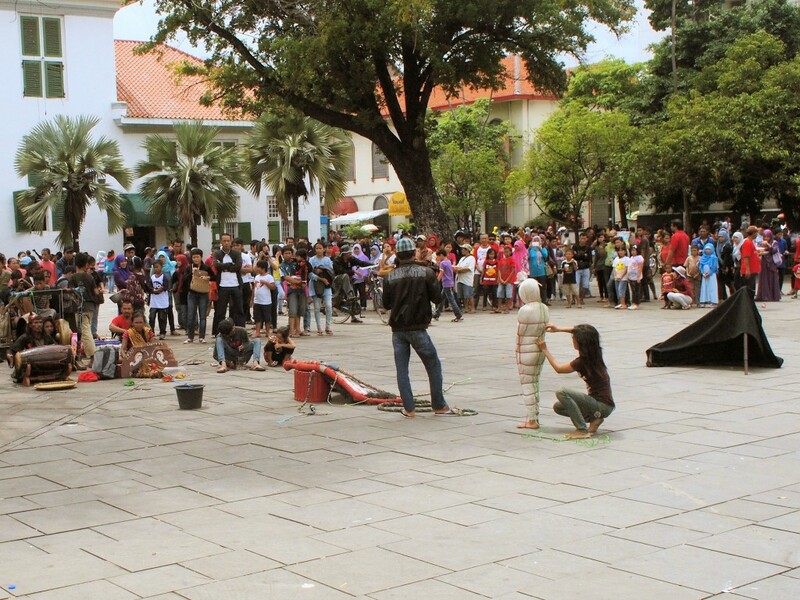 Picture Me at Kota Tua? This should have been my indication that more photos awaited in this section of the city. A touch of the Old West? There was no Chanel No. 5 to be found but the prices were very reasonable. 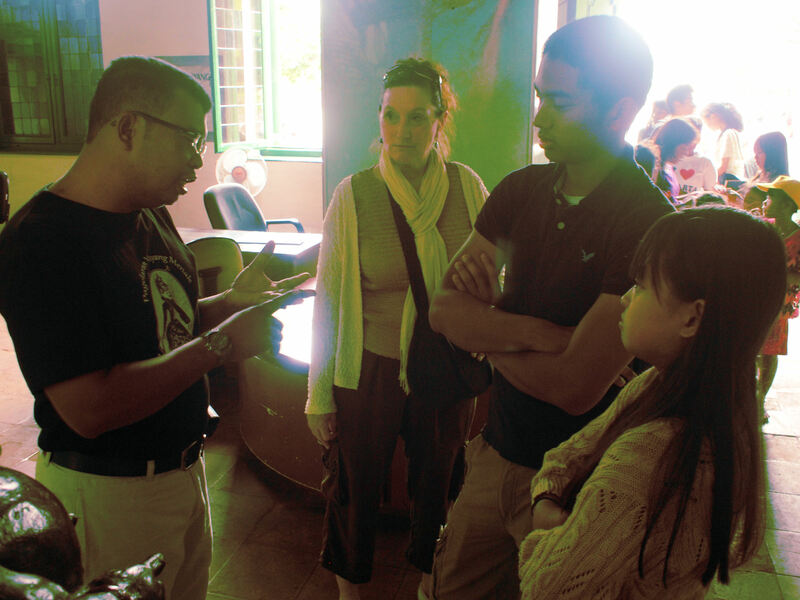 Here the interview is used as a technique for practicing English with native speakers. 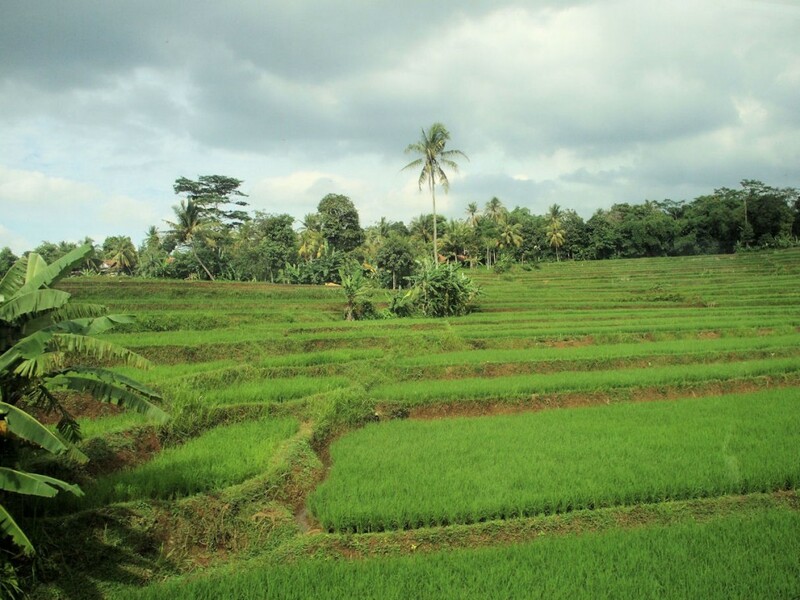 Kelapa muda, young coconut, is a cure for most anything. 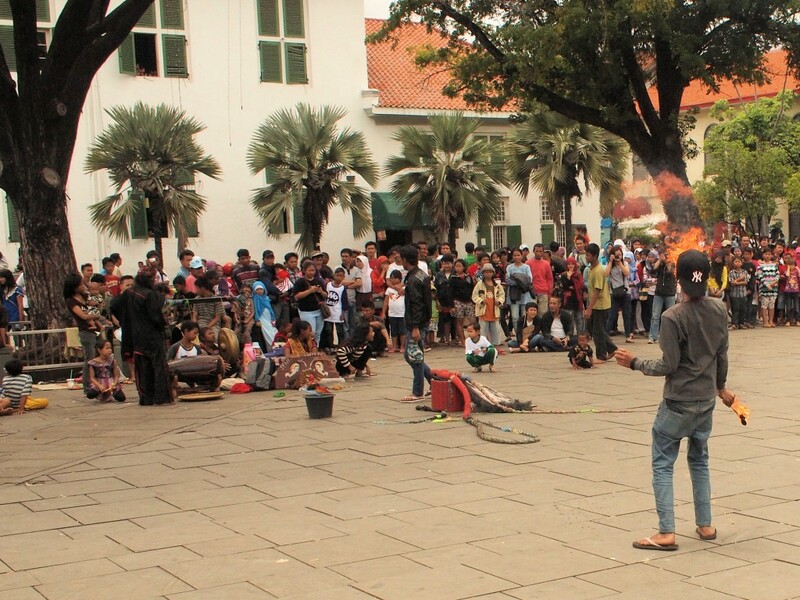 We encountered a magic act in front of the Batavia Stadhuis. The Governor’s offices of colonial days are now Museum Fatahillah, the historical museum. Not all the buildings are well preserved. Recording equipment seemed a regular part of what we encountered as we toured Jakarta. We missed getting our picture taken with SpongeBob SquarePants. 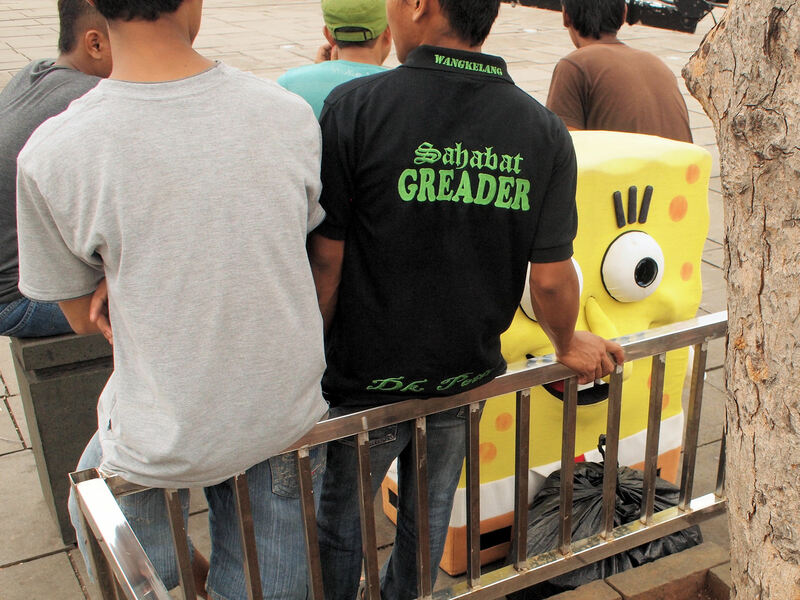 SpongeBob needed a rest. It had not rained yet. He was probably a bit dried out. Last time in Indonesia, Kompas was just the newspaper. It’s a television station now too. Sixteen years can bring a lot of change to the look of a city. Only a few familiar buildings could be seen from the vantage point of the sixth floor deck where we were staying. 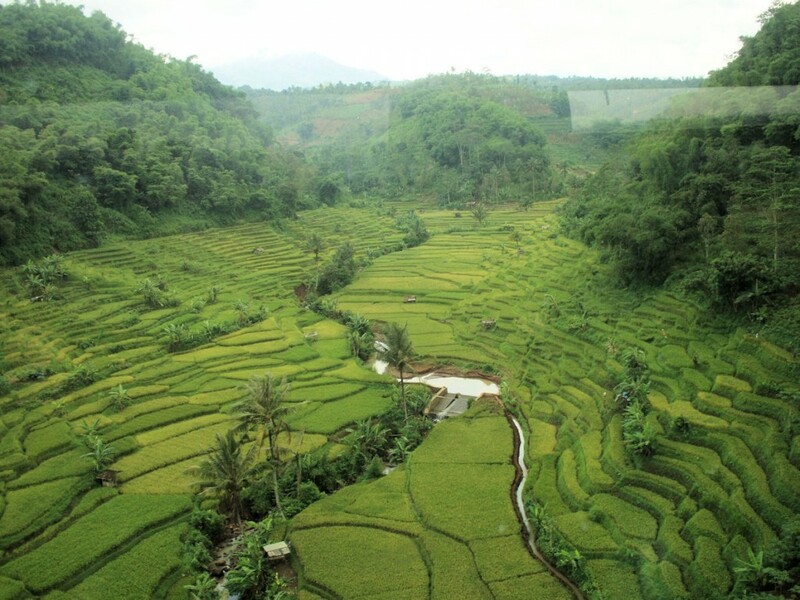 Cell phones were a new thing when I left Indonesia in 1997. They are everywhere now with good service from a number of competitors. 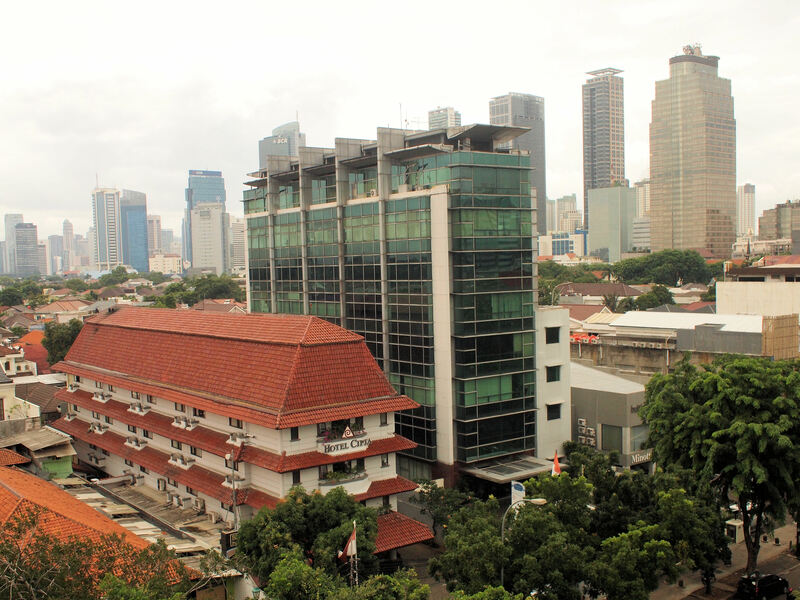 Most of the buildings along Thamrin and Sudirman are new and taller than the buildings we remembered. The buildings we recalled are hidden behind the new buildings. 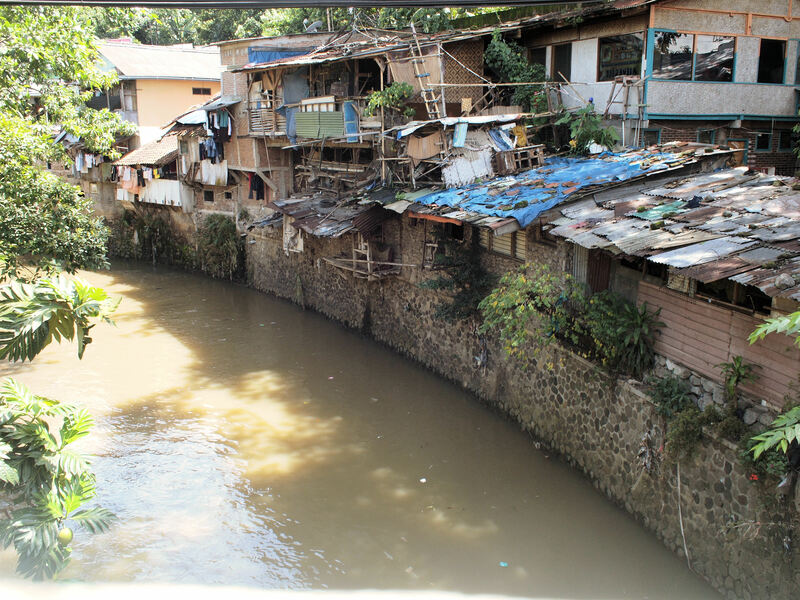 This city view shows that Jakarta still dries its laundry in an ecologically friendly manner. 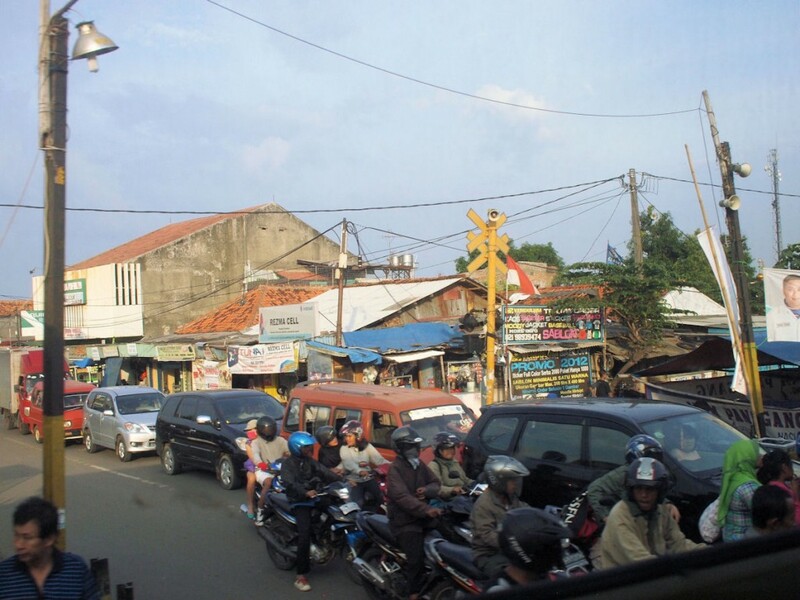 We got to see wedding preparations down the street with the landmarks Monas and Mesjid Istiqlal visible in the background. 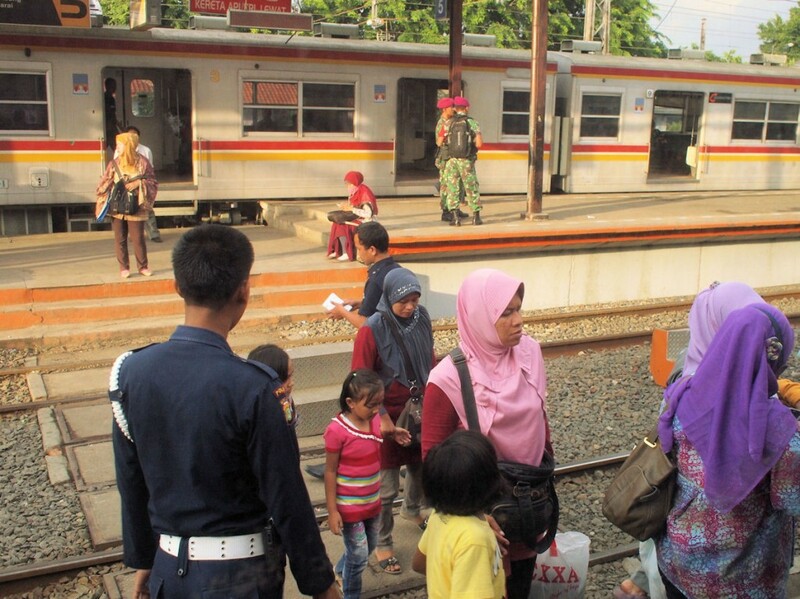 The train from Bandung to Jakarta makes for a much more relaxed experience than the trip by road. 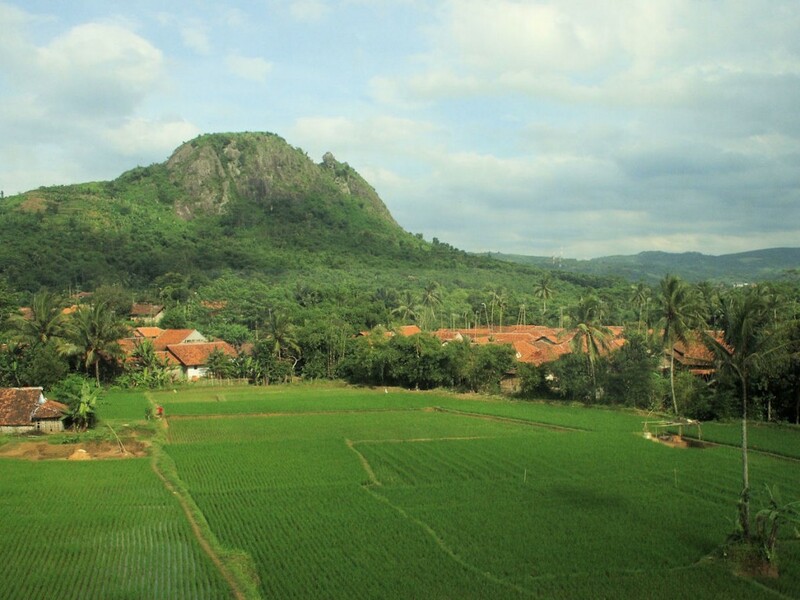 Some of the scenery you will pass, particularly close to Bandung, is another reason to favor the train. This is a well traveled route and there is a train every few hours. Transit time is about three hours. Hungry? 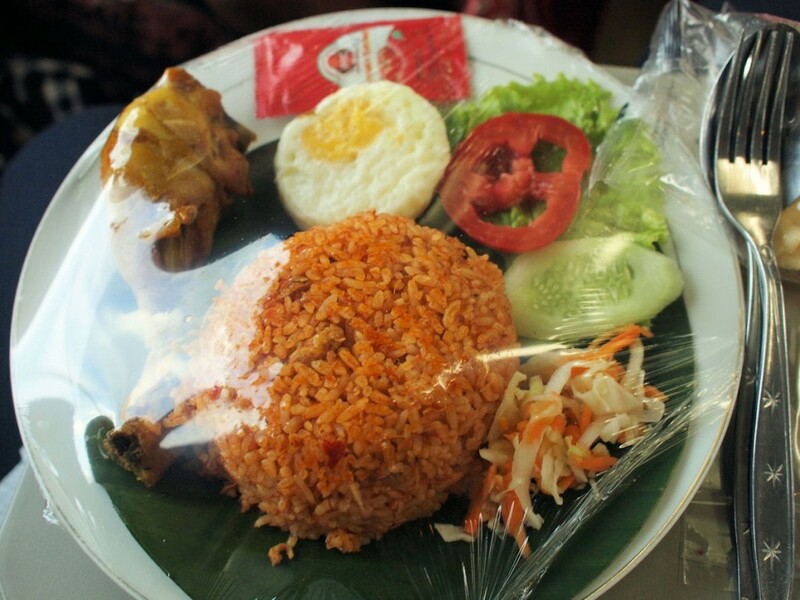 The food is quite good and is reasonably priced. 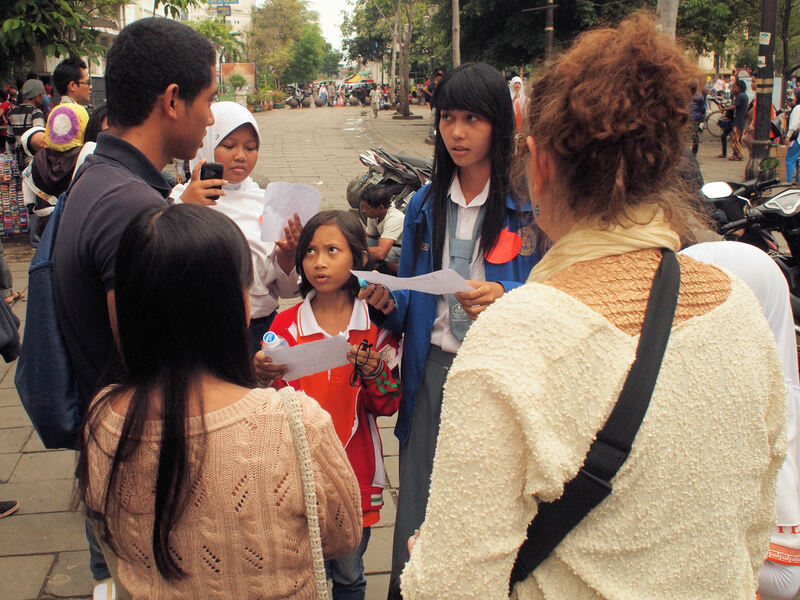 Bandung was a nice place to start to reintroduce ourselves to Indonesia. 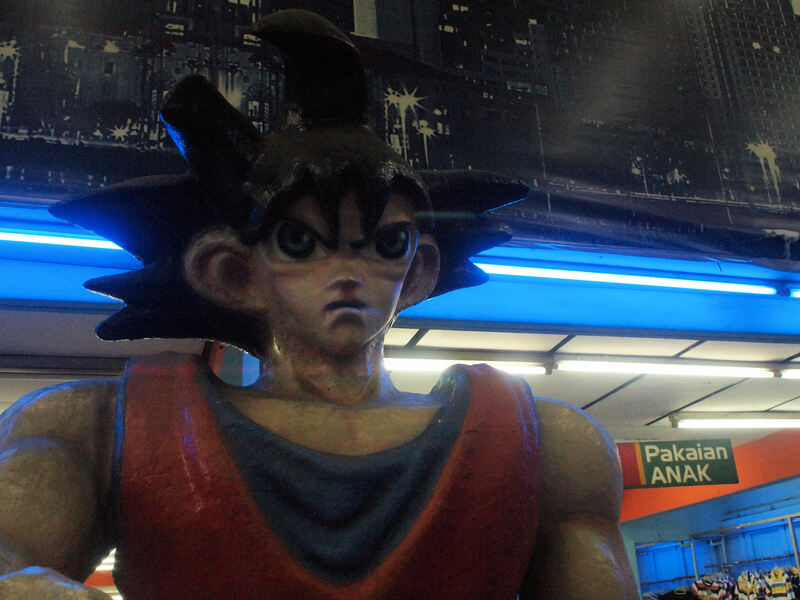 Here, on Jalan Cihampelas, Yu-Gi-Oh greets visitors to the display of children’s clothing. 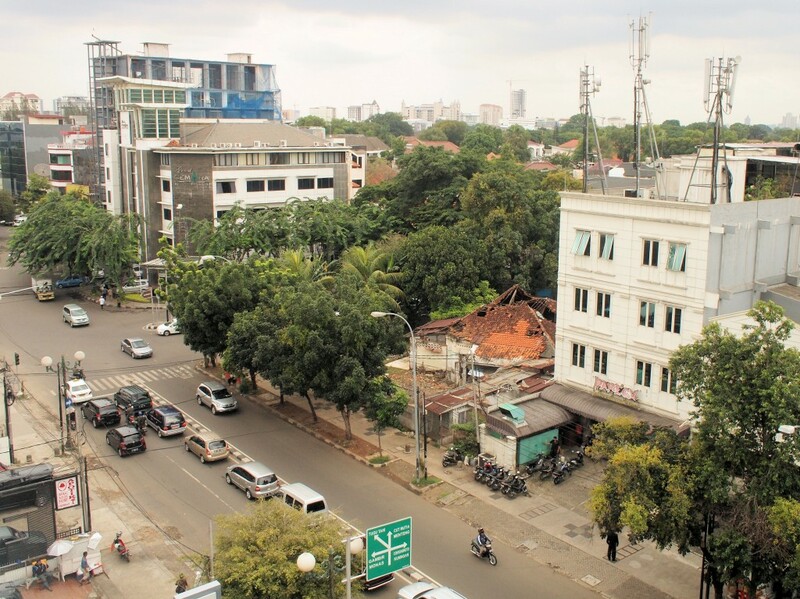 Jalan Cihampelas is alternately called Jeans Street and it is here that you can find bargains on clothing of all varieties. 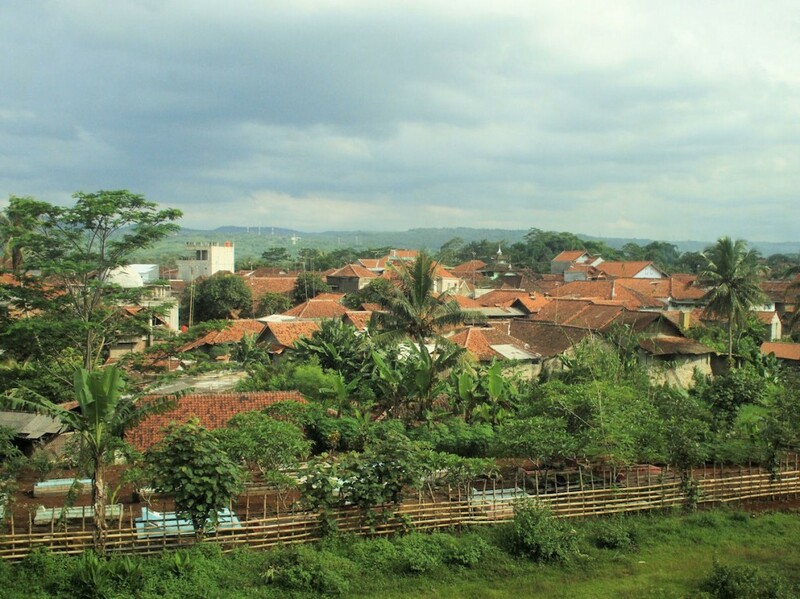 Modernity has come to the area in the form of the Cihampelas Walk shopping mall. Not the same bargain prices but everything you would want to find in a mall can be found there. 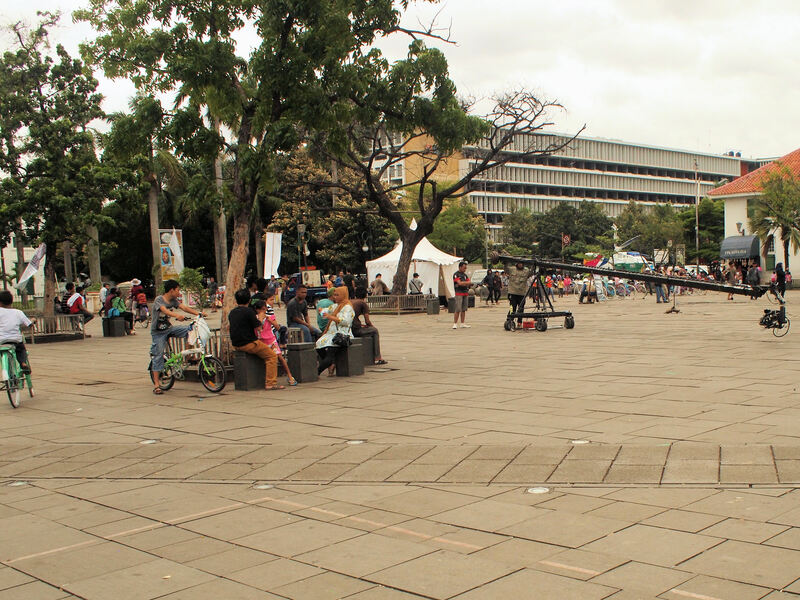 A trip from Jalan Cihampelas to the Bandung Electronic Centre was further than we expected but we got to have a look at some of the city sights that were not in the lists of the guide books. 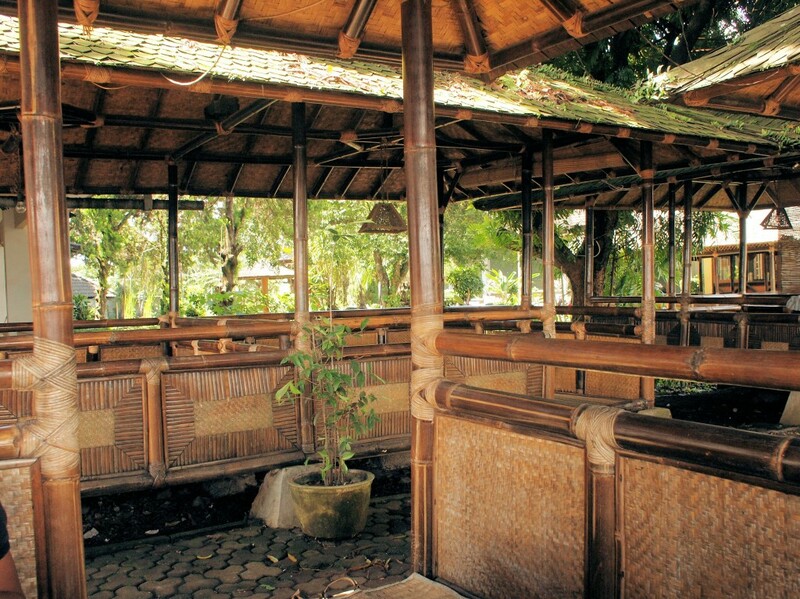 The Dago Tea House, or Dago Thee Huis for the Dutch, is a great place for a quiet meal in the Sundanese manner. The Dago Tea House also offers shopping options, including wayang golek. The items for sale at the Dago Tea Shop are worth a look. We ended up with a wooden mouth harp, whose Indonesian or Sundanese name I have forgotten. 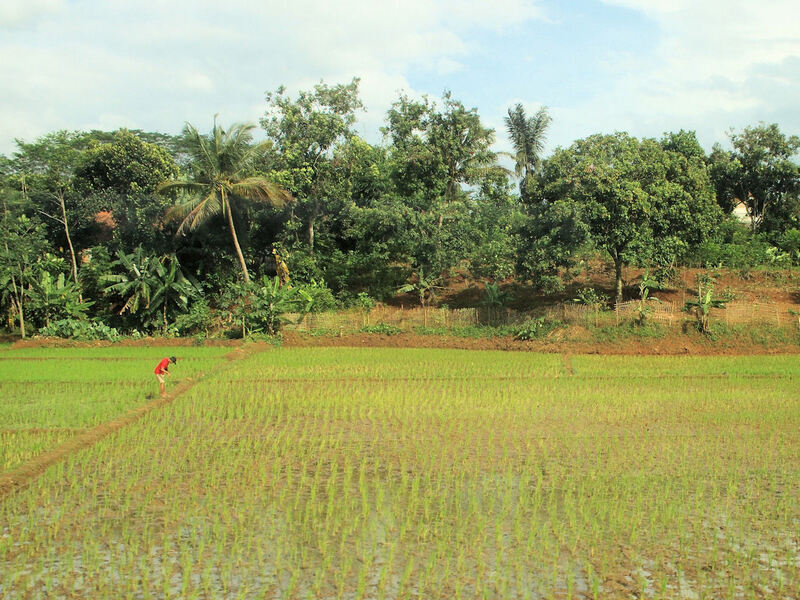 The Hotel Padma is still a nice place to stay. The hotel has become bigger and the area nearby has seen a lot of new construction since the time the hotel was the Chedi but the service is still first rate. It is still green on the back side of the hotel as well. 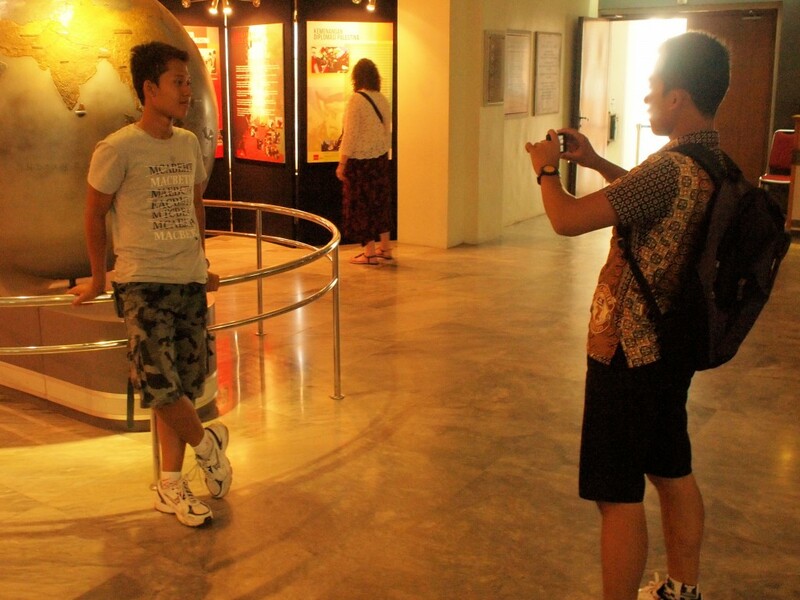 What tourist visit to an historic site would be complete without pictures of other visitors taking their own photographs in front of relics and antiquities? 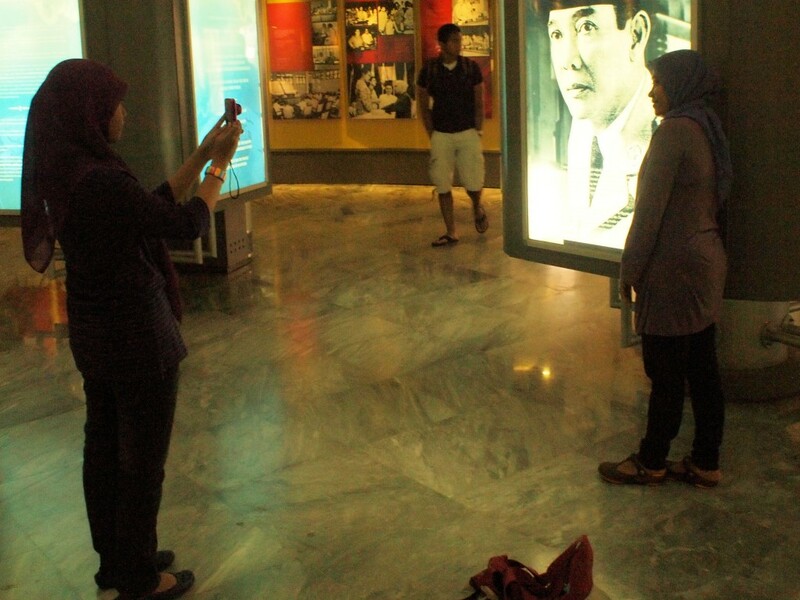 A visit to Gedung Merdeka, the site of the 1955 Asia-Africa Conference, captured some of these memory creators. 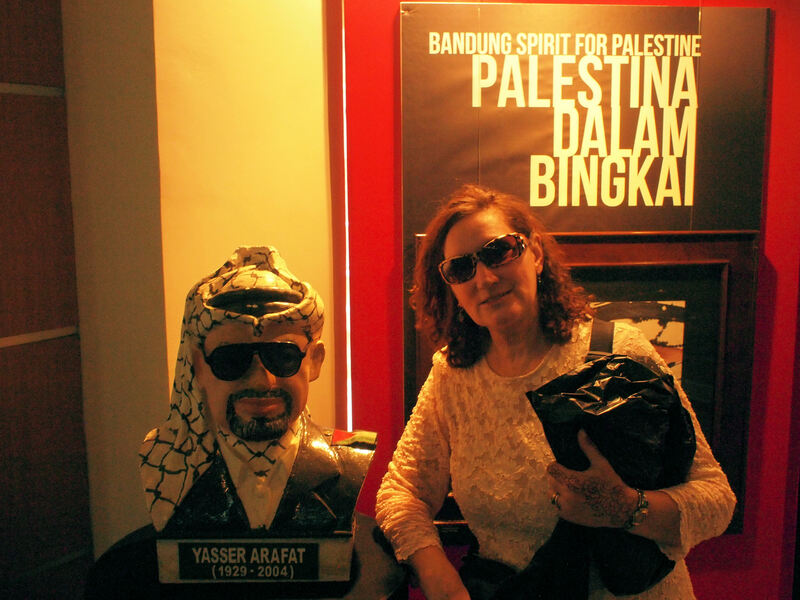 I felt obliged to picture Mary at Gedung Merdeka in front of the first panels of the Palestine exhibit. Bandung was the site in April 1955 for the first major Asia-Africa Conference. 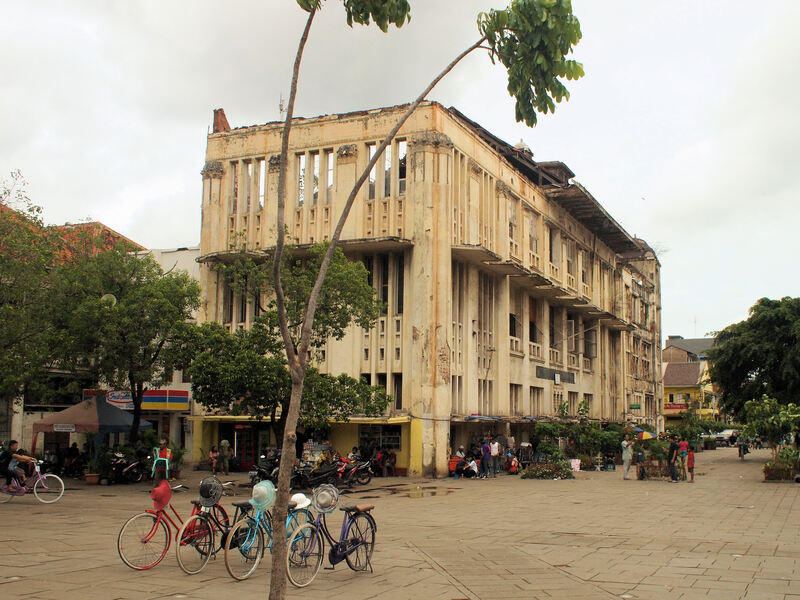 The site of the conference, Gedung Merdeka, is now a museum commemorating this historic event. 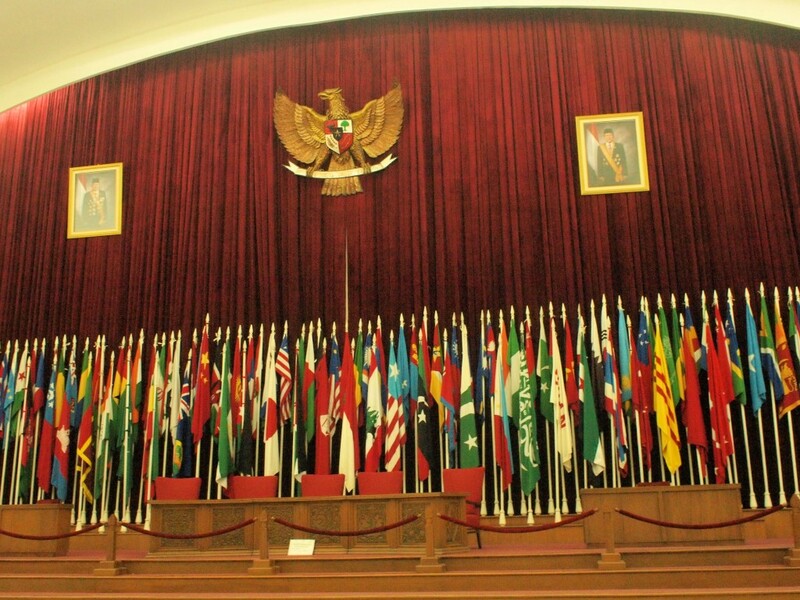 Just above we see how it might have looked as President Sukarno addressed representatives of the twenty-nine nations assembled there. 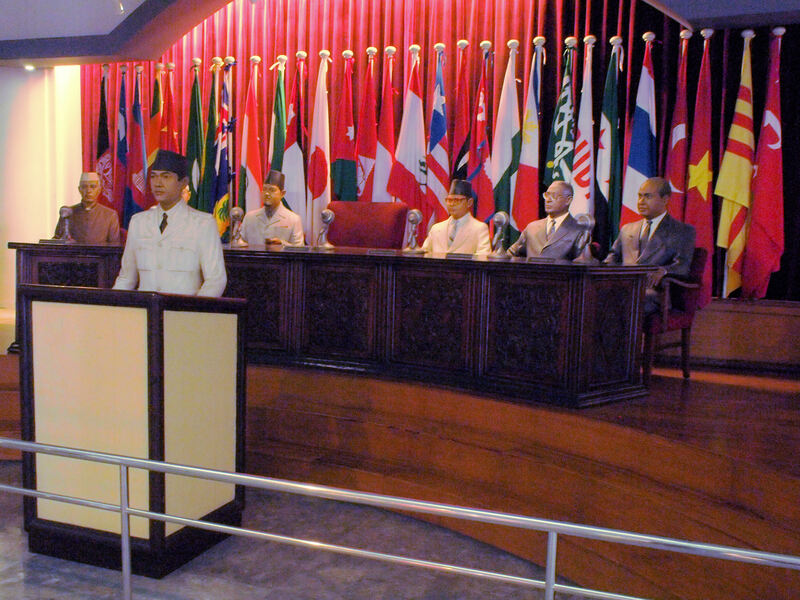 This conference is credited with placing the groundwork for what developed into the Non-Aligned Movement. The actual conference chambers are preserved as shown above. The Palestine exhibit is not part of the permanent collection here, so we were fortunate to visit at the right time. 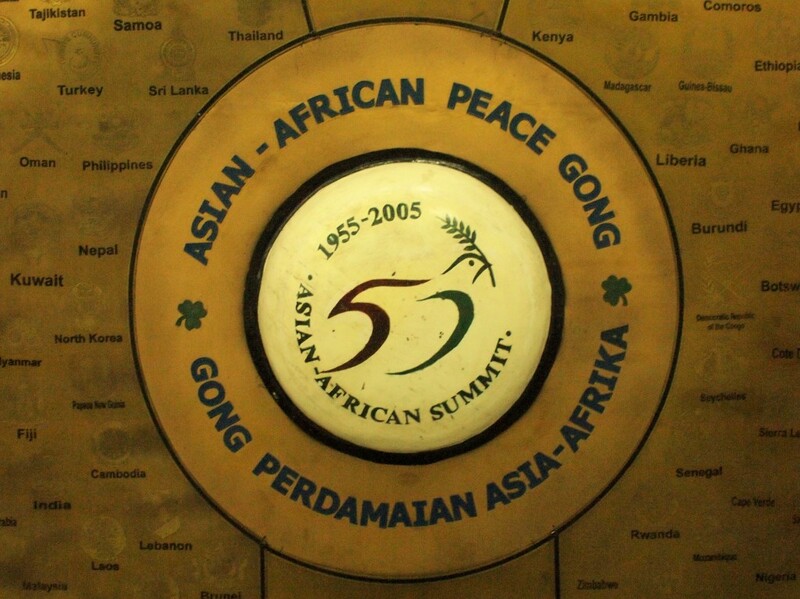 The Asia-Africa Conference declared its support for the rights of the Arab people of Palestine in 1955. 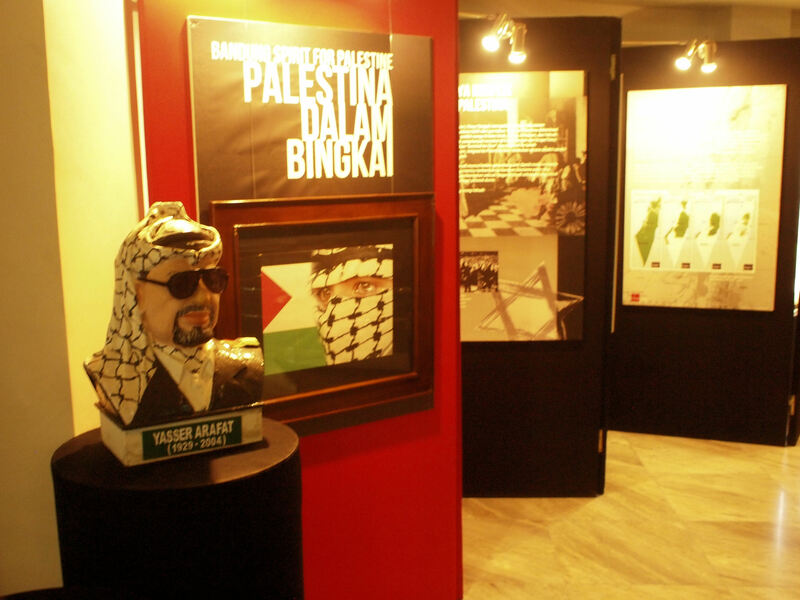 Indonesia has long recognized the nationhood of Palestine.